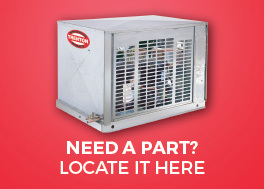 Trenton Refrigeration offers a complete line of commercial refrigeration products. From the smallest unit to the very largest, Trenton Refrigeration brings experience and commitment to the refrigeration industry - beginning with product design and engineering, and continuing through manufacturing, sales and after market support. Trenton Refrigeration continues to Lead The Way, providing an award-winning line of Systems Savings Solutions, designed to reduce environmental impact, reduce energy consumption, increase system efficiency and more. Intuitive evaporator control technology designed as an upgrade over traditional electro-mechanical refrigeration controls. With ESP+ you get precise temperature control, minimizing product loss due to excessive frost and improving product shelf life - plus significant energy savings.